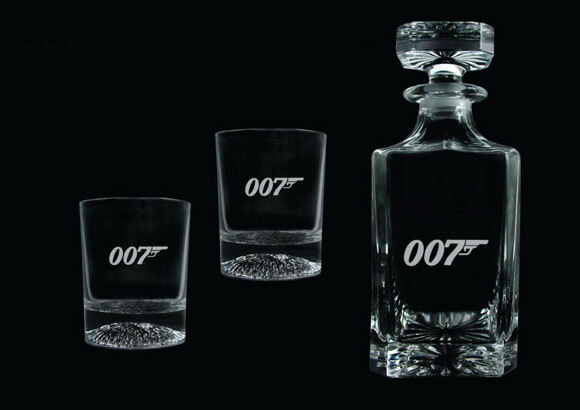 Groovy UK Ltd today announced collaboration with the James Bond entertainment franchise, property of Danjaq LLC and EON Productions, to create a new signature range of high end barware, glassware and cocktail sets, bringing the confident allure of cinema's secret agent to Groovy consumers worldwide. The range will be launched into the market for December 2008 after the worldwide release of Quantum of Solace, the 22nd film in the Bond franchise, which is the largest and longest running movie franchise in history. "I'm thrilled to be working with Danjaq on producing such a special range of signature barware," said Martin Butler MD Groovy UK, "The quality, design and presentation on the limited ranges embodies everything James Bond represents -- intelligence, sophistication and confidence." "As part of our on-going License strategy, we strive to bring unique equities to Groovy and James Bond provides an unparalleled partnership opportunity. What man or woman wouldn't want to have a drink with 007?" said Kirsty Pollard, Brand Manager for Groovy. Michael Tavares, Licensing Director, Danjaq, LLC added, "This was the perfect collaboration for two companies that focus on innovation and quality. We're excited to be partnering with Groovy to create a signature limited range of James Bond inspired barware." The crystal glasses and barware will be limited to a selective group of retailers in each country and available for 007 fans through a dedicated e-commerce site. Bond Lifestyle will keep you up to date and you can win a luxury glass set in an upcoming contest, so stay tuned!